Lake Eyre - covering one sixth of Australia's land mass. Enjoy the visual extremities of Lake Eyre, Australia's largest inland lake situated in South Australia. Its incredible colours and patterns become accentuated from the air whether full of water or totally dry. A totally captivating flight that will return you both visually impacted and educationally enriched. 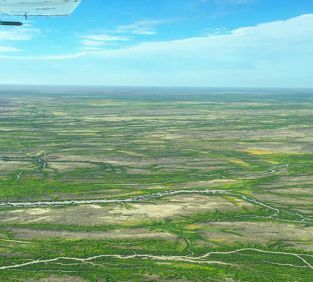 This flight departs William Creek for the Southern End of Lake Eyre North, Belt Bay. We track across the bay for Silcrete Island and up the Western shoreline of the Babbage Peninsula via Dalhunty Island. Following the Warburton Groove up to the north of the lake, explore the Warburton River inlet and channel country before returning via the Neales River Inlet. Depart William Creek on unique trip to view the Anna Creek Painted Hills, Australia's Grand Canyon, set in the outback of South Australia. The Anna Creek Painted Hills 60 Min Scenic Flight: A unique and spectacular opportunity to view one of Australia's hidden iconic landmarks. A Minimum number of two passengers applies. 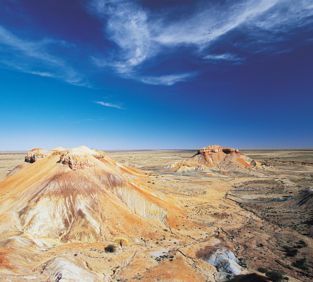 Depart William Creek on a unique 2-Hour trip to view the Anna Creek Painted Hills & the majestic Lake Eyre (Kati Thanda). 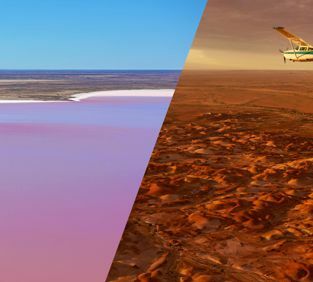 A unique and spectacular opportunity to take in two of Australia's iconic landmarks, the Anna Creek Painted Hills and the world renown Lake Eyre. A totally captivating flight that will return you both visually impacted and educationally enriched. 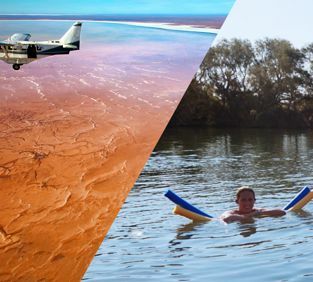 Depart William Creek and fly over Anna Creek Station to the gibber shelf on the Western shoreline of Belt Bay - Lake Eyre, Silcrete Island, Jackboot Bay and over the Southern end of The Warburton Groove before flying over the Halligan Bay viewing station. Continue to Dalhousie Artesian hot springs to relax and soak in the beauty of the largest thermal ponds in Australia which range in temperature 38 to 43°C. Includes lunch. Prices: Our flight prices are subject to change. Fuel levies may be added if required. 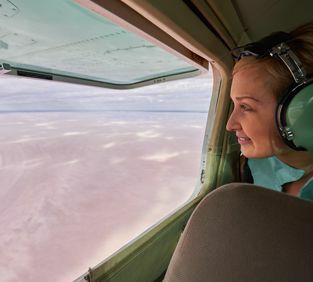 Wrightsair operate scenic flights from their base at William Creek, as well as Coober Pedy, Marree, Wilpena Pound and Port Augusta. 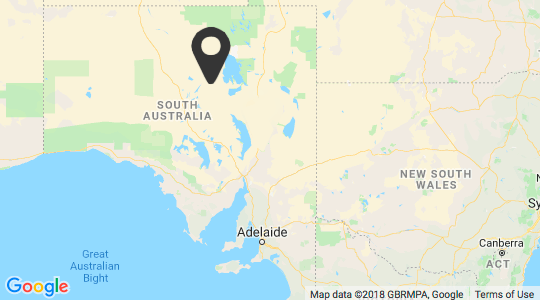 It operates under the LA & AM Matthews AOC providing scenic and charter flights by highly experienced commercial pilots with extensive outback experience. Wrightsair utilise aircraft which are high winged to provide exceptional viewing, and pride themselves on safety.